Coordinating with the IIChE, the student chapter at SASTRA DEEMED University has projected the chasm of opportunities, the field of chemical engineering holds. Below are the activities of our student chapter. 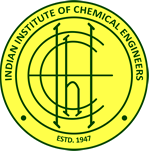 The Conference on Advances in Process Engineering is an initiative to unearth the talents of budding engineers and inculcate in them the essence of Chemical Engineering. The first edition happened in the year 2013. The exposure gained by participants, through the three day conference was enormous. The conference is centered on the basis of student interaction. The paper and poster presentations are the fitting zones for students to unravel their practical talents imbibed through fruitful lectures. The industry delegates, academicians and the research scholars invited are of such eminence, that the mere attendance of the conference equates access to knowledge which otherwise takes years of experience to gain. Prakriya renovated the face of regulation competitions. It brought out the best in a chemical engineering aspirant. It hosted technical quizzes in addition to the conventional paper and poster presentations. Apart from hosting inter college fests and conferences; the student chapter has also devised an exclusive intra college fest. It brought out the crisis solving techniques that ought to be second nature to a chemical engineer, given the oblivious risks posed by the field. The presentations also served as a platform to inculcate the application of the academic knowledge on a practical basis. The birth anniversary of Sir Mokshagundam Visvesvaraya is celebrated as "Engineers Day" at the University. Taking in the pride of this day, the student chapter introduced flow sheeting event called "Develop your Flow sheet". Process Flow Diagrams hold eminence throughout the industrial journey of process engineering. George E. Davis, the eminent father of chemical engineering, is a pioneer widely known for his revolutionary works in the field of chemical engineering. Honoring his works, the student chapter celebrates his birth anniversary (27th July) as “Chemical Engineering Commemoration Day “. On this occasion, eminent chemical engineer from academia / industry is invited to deliver the George. E. Davis Memorial Lecture. The objective is to enlighten the students with the current status of the industry and the developments that the students can bring about in the field.